It's not really about the muffin. The story starts at Campus Square Farmers' Market at Lehigh University. 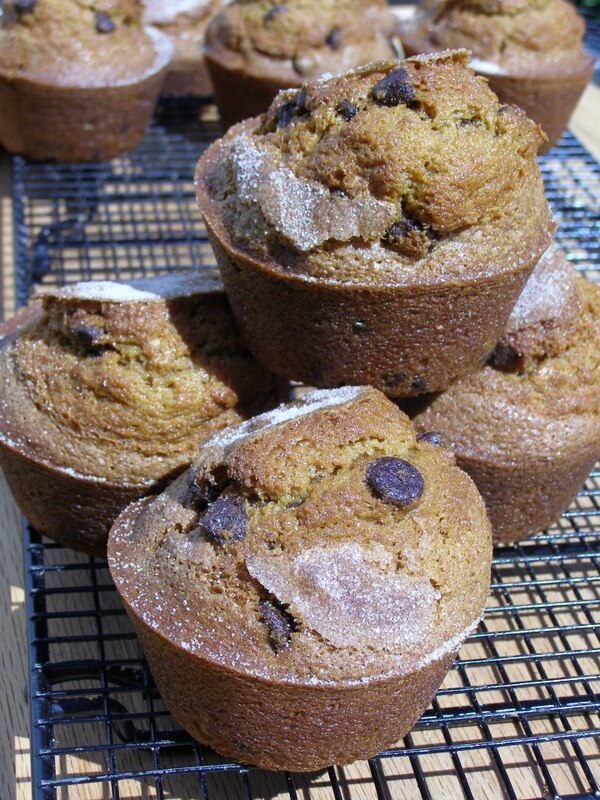 A few of the students fell madly in love with our Pumpkin Chocolate Chip Muffins. They would come up in small groups and just stare, all googley-eyed over those muffins. Well, they haven't been able to get that pumpkin-chocolatey goodness since October, so one sweet young lady called to order a dozen muffins for her friend who was feeling down. This afternoon, when she arrived to pick up her package she revealed that she had just walked more than 2 miles from the south side of town, to the north side of town, over the bridge that spans the Lehigh River, and now she had to walk back. Wow. That deserves a big hug.